Many Perth suburbs have lots of garden water bores. Woodlands and Churchlands are a good example. Why? The depth to water in most Woodlands bores is generally quite shallow making the depth of the required borehole less than some more elevated Perth suburbs. Less depth generally translates to more cost effective and cheaper to install. The lower lying parts of the suburbs around Herdsman Lake and Jackadder Lake such as Woodlands, Churchlands and parts of Osborne Park and Leederville lend themselves to easy groundwater abstraction. The surface geology encountered when drilling water bores Woodlands and surround is generally indicated by the Perth Groundwater Atlas as “ Swamp and lacustrine deposits – peat, peaty sand and clay”making bores both relatively shallow and easy to drill and consequently quite affordable. Installing a garden bore to tap Perth’s plentiful superficial aquifer makes good sense. As well as saving money in mains water consumption costs bore owners also help conserve Perth’s limited potable water supply. Now-a-days a modern stainless steel submersible pump is installed invisibly beneath the garden in what is called a submersible water bore. Woodlands bores are commonly drilled to a total depth of 18 to 20 metres or thereabouts as the water table is often reached at about 6 to 10 metres. The depth to water for any proposed Woodlands water bore is indicated in the Perth Groundwater Atlas. New submersible garden bores in Woodlands are normally drilled 10 to 12 metres past the start of the superficial aquifer. Local knowledge however is invaluable when drilling a water bore in Woodlands, Churchlands, North Leederville and Osborne Park and particularly those areas near the local wetlands. Design must take into account such issues as clay in the ground and iron oxide in the water. Here careful design consideration is also needed to minimize potential saline intrusion. 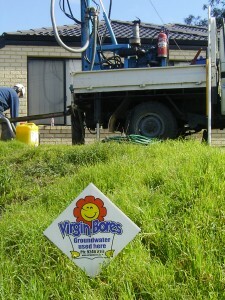 Please call us on 1300 734 300 and we can easily tell you the depth to water at your property or email you a quotation. A modern submersible pump operates silently and invisibly and is usually connected to a home’s existing reticulation sprinkler system. With a modern bore there is nothing visible at the surface as everything, including the pump, is contained in a 100mm PVC sleeve (correctly termed bore-casing) well out of sight beneath the garden or lawn. More details of modern water bore construction can be found on our water bore page. 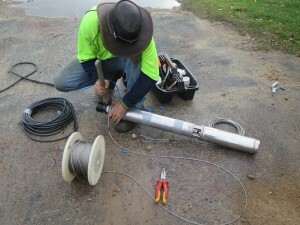 Call us on 1300 734 300 to get an idea of the cost for a home water bore. We will assess your individual requirements then a design garden bore specifically to suit your needs using the available groundwater. Our bulk buying and economies of scale assure you of the best value, whilst our experience ensures you get the most reliable Woodlands water bore system available. 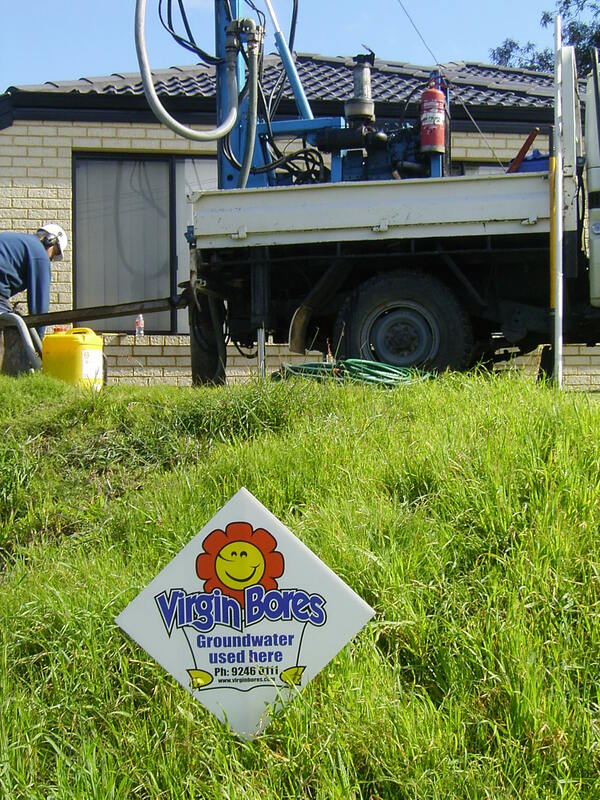 Repair and Service of existing Water Bores, Woodlands, Churchlands, Leederville, Osborne Park and surrounds – In suburbs where the aquifer is fairly shallow you can often see many of the old “well” style water bores. Osborne Park is a classic example. Unlike maintenance-free modern submersible pumps, these early bores with old tin” witches hat” lids often contain ageing centrifugal pumps that require regular maintenance. Virgin Water Bores Osborne Park service team have the local knowledge, experience and equipment required to deal with these early well bores that can sometimes be older than 40 years. On the other hand modern stainless steel submersible bores are essentially maintenance–free. But when a modern submersible bore does need fixing it is essential that any work is performed by a specialist bore repairer has the experience, knowledge and equipment to guarantee a timely, cost-effective repair. No problem for the Virgin Water Bores Osborne Park service team. We fix all types of bore pumps Woodlands, Churchlands, Osborne Park and Leederville. Centrifugal pumps in wells, submersible pumps, fused motors, anything to do with bores, pumps, and irrigation or reticulation sprinkler systems. Pump fusion insurance claims are our specialty. We repair bores every day, it’s what we do. There is rarely a bore problem our specialist electricians and repairmen have not already seen and solved. Please call us on 1300 734 300 and we will attend to any service, maintenance or pump and bore repair. Or fill in the form below and we will respond to you personally and promptly. If your old bore is fixable we can fix it!